Searchbar is a simple input box where users can type search queries. Hint text shown when the input is empty. The value of the text input. Icon name for the left icon button (see onIconPress). Callback that is called when the text input's text changes. Callback to execute if we want the left icon to act as button. These methods can be accessed on the ref of the component, e.g. searchbarRef.isFocused(...args). Returns true if the input is currently focused, false otherwise. 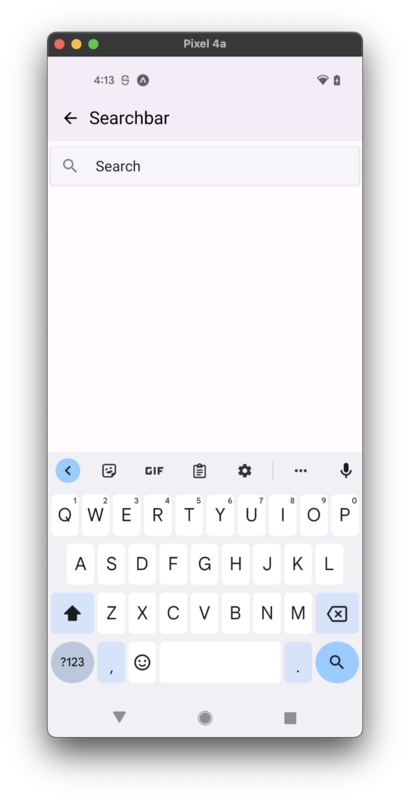 Removes all text from the TextInput. Removes focus from the input.